You all came from a family of artists and musicians, so I find it interesting that only one of you chose a career which is artsy. That, of course, is our family photographer. Dad’s grandfather was a musician when he immigrated to America, my grandmother and mother were pianists, Dad played the trumpet, and each of you played an instrument while in elementary school. If my memory is correct, Kelly chose the clarinet, Jamie played the violin, and Casey chose the quietest and least annoying instrument for a beginner, which was the flute. If I am wrong on any of these, then I need to think seriously about ending these stories. 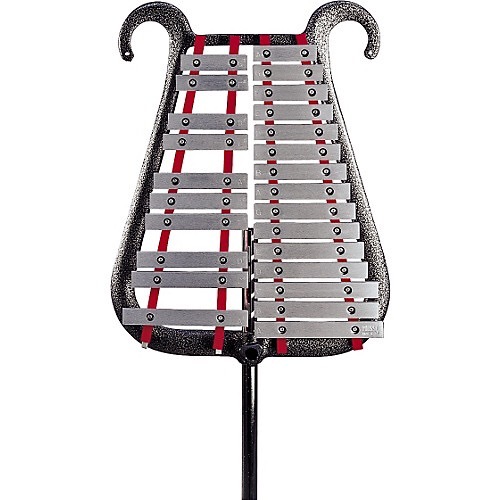 I have left out the best for last, which was my choice of the glockenspiel. I did a bit of research and learned the derivation of the name: Glocken is German for bells and Spiel means play. I chose this instrument because I enjoyed the sweet sound of the bells, but I don’t believe I gave much thought to the practicality of the glockenspiel. It was big and awkward, and according to several websites, weighed anywhere from eighteen to twenty-nine pounds. I have no memory of ever bringing it home but will ask my sisters for verification. My only memory was standing on the stage in junior high with the one other glockenspielist, a girl named Gretchen. Neither of us ever became a very good player of the “bells,” but the sounds of the other instruments in the band most likely hid all of our mistakes. So I remained in the band for just two years, and when I went off to high school, I abandoned any thoughts of continuing my musical career. I think I was smart enough to recognize that I really could not read music very well, so I turned in my glockenspiel and the accompanying mallet. I never regretted the decision. When you all were growing up, you each amassed a collection of CD’s of your favorite music. Since no one still listens to music on CD’s but me (on occasion), they have been left at my house. I was originally going to discuss the music of your childhood as a segue to music from my early years. However, once I started going through the boxes here, I decided there are enough memories from your youth to abandon my original thoughts for now. We had at least two boom boxes in our house, which is how you first listened to your tunes. They were big and cumbersome and therefore not very portable. I was glad when the smaller compact CD players came along, which were so much easier to transport, particularly during trips. Each CD evokes a different memory. When I saw the Brittany Spears disc, I recalled Kelly’s first concert that Dad took her to—the NSYNC concert in Newark with Brittany as the opening act. This was, I believe, for Kelly’s tenth birthday, on the day before Dad’s birthday—Thanksgiving weekend 1994. Casey reminded me that NSYNC was the first concert she (and Jamie?) went to as well. They were playing at Madison Square Garden during the summer of 2000. The screeching sound of the boy-band crazed girls pierced my ears. That is when I leaned that tissues, rolled up in tiny little balls, is quite effective in drowning out those sounds. I made many friends with other mothers nearby as I shared my tissue balls with them. The O-Town CDs need no explanation. They were Jamie’s birthday concert. It was her fifteen birthday, and we were visiting Carolina colleges for Kelly during the summer of 2002. It was the second time Jamie’s birthday was celebrated on the road (the 13th was actually spent at 30,000 feet en route to Aunt Linda’s wedding in 2000), so it was fortunate that they were playing in Carowinds, just up the road from USC on Jamie’s birthday. We coud do a college visit and have a fun birthday in one fell swoop (another favorite word), and it was another opportunity to share my tissue-ball invention. Clay Aiken’s Christmas CD brought back memories of our three years spent in Chapel Hill. All I can say to Jamie and Casey about that move is that I know how hard it was, and I am sorry. “Relax—Sublime Music for Relaxing and Lounging” brings back those awful five years of Casey’s migraines, which began in New Jersey after Casey’s stint with mono and ended with many treatments of acupuncture in Chapel Hill. Many times she would try to relax with this particular CD. I was surprised to find a Prince CD. That was so timely in light of his recent death. I didn’t know any of you were his fans. As I continued to peruse the assortment of music I saw Ashlee Simpson, 98º, Dawson’s Creek, Backstreet Boys, and Spice Girls. There were a few personal ones, such as one labeled “Megan’s Bat Mitzvah” (Ah, those bat/bar mitzvahs years!). Each disc was a different song, a different memory. But my favorite discovery was one labeled “I Love Mommy.” I am sure you all know who that belongs to. I will have to listen to that one—for sure! Now you load them on your computers and your phones. There is no longer a physical record or CD for you and your children to know what your interests were. Just like the photos that sit in those same places—your computers and phones. The technology is great, but as means of learning your history, I think it’s problem. I often think about the power of music. It lifts us up when we are sad, calms our nerves, makes us laugh, and brings us to tears. Music is a time machine, transporting us back to another time by just the sounds of a few notes in a song. When I hear a song called “Poor People of Paris”, I am a little girl—not because I remember the song but because Grandma told me many times how I loved to dance to that song which was number one on the Billboard charts during the spring of 1956. It is interesting that an orchestral tune made the list during a year when Elvis dominated the chart for twenty-five weeks. I hear “March of the Toys”, and I am sitting in Aunt Marian’s family room on Thanksgiving Day with my cousins watching the Laurel and Hardy movie, “March of the Wooden Soldiers.” That movie would keep all of us youngins busy and out of the hair of the adults who were preparing our Thanksgiving feast. I wonder if you are the only cousins who have never seen it. “I Go to Rio” by Pablo Cruise plays on the radio, and I am suddenly in the Wyoming desert with Dad on our way to Yellowstone Park in 1978. We rented a car with an eight-track player, and knowing radio reception would be erratic, we stopped in a store in Salt Lake City, Utah and picked up some tunes for the car, which we played over and over for the seven hour drive. Then there are the wedding songs. “Color My World” was a very popular song in the early seventies often used for a couple’s first dance. I am at my cousin Tommy’s wedding when I hear that song. “Here, There and Everywhere” beams me back to our wedding. We chose that as our first dance because we liked the Beatles, but more importantly, it was representative of Dad’s work life—always on the road somewhere. When Billy Joel’s “Just the Way You Are” plays, I seesaw between Aunt Ar and Uncle Paul’s 1980 wedding in New Jersey and Kelly and Mark’s wedding twenty-eight years later in South Carolina. The music transporter zaps us around quite quickly! And Jamie, I am so sorry to tell you that I associate the Pharrell Williams song “Happy” with your wedding more than any other since it was played so much that day even though you did not want it played at all! Grandma gave me a music box when Kelly was born. It is a clown in a square-shaped box which plays a song called “Be a Clown” used in the movie “Singing in the Rain.” Boom! I am back in time rocking each of you and thinking of Grandma. You all loved the Disney movies, so I will always think of each of you when a song from “Little Mermaid,” “Beauty and the Beast,” or “Aladdin” is played. Occasionally I switch to the Disney Station on my car’s satellite radio hoping to hear one of those songs. When I hear “The Circle of Life,” I am back on the playground at Valley View School watching at least one (quite possibly all) of you exercising with the school during ACES (All Children Exercising Simultaneously) Day. Do they still continue that tradition? And then there are songs or artists that always make you remember the person. “Queen” is Billy, “Steely Dan” is Dad, Billy Joel is Aunt Ar, Celine Dion’s “Because You Loved Me” is Uncle Larry, and “Over the Rainbow” is a sweet little boy named Daniel. Hear the song, remember the person and close your eyes. In a snap you are somewhere else. It happens all the time. The power of music!